A fast releasing fertilizer gets quicker results. This type of fertilizer makes nitrogen available to the plant immediately. Remember that nitrogen is one of the most important nutrients for plants. It is partially responsible for the green color of your turf. It also helps the foliage grow stronger. Unfortunately, with fast releasing nitrogen, you can sometimes have problems. The great results can be short-lived. There can also be leaching, burning and excessive growth. The truth is that the amount of Nitrogen requires by turfgrass depends on the type of grasses present and the management practices used. High maintenance lawns perform better when adequate water and fertilizer are applied while low-maintenance lawns grow and spread more slowly. They should receive little extra water and fertilizer. Emerald Lawns tends to use a slow-release fertilizer to keep your lawn from leaching, burning and excessive growth. We believe that releasing nitrogen gradually to the plant will ensure the maximum uptake of nitrogen to the plant. The results are a little slower, but more sustainable. When used in conjunction with Holganix’s bio-nutritional product, you are ensured that your lawn is being fed well and is going to be healthy. Mirimichi Green naturally frees nutrients in the soil, acting itself as a slow-release fertilizer. We get better results using about half the amount of fertilizer on your lawn. It saves us and you money. It also ensures that your lawn is the healthiest it can be. We stand behind what we do because we do what is best for your lawn. Give us a call today at 512-990-2199. 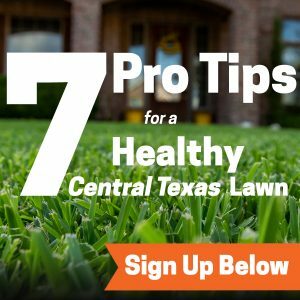 We look forward to working with you to create a healthy, well-fed lawn.